In May, we attended our school district’s Extended Learning Program (Talented and Gifted Program) Fair. 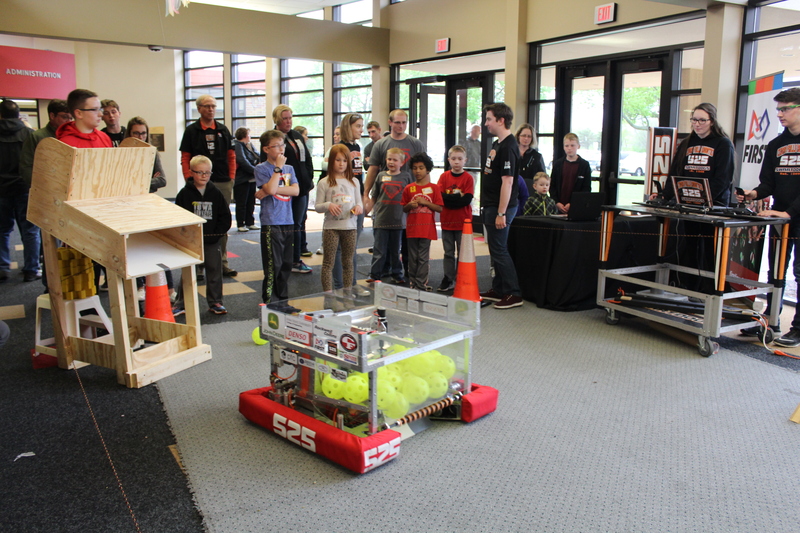 There, we demonstrated our robot in the school’s entryway. 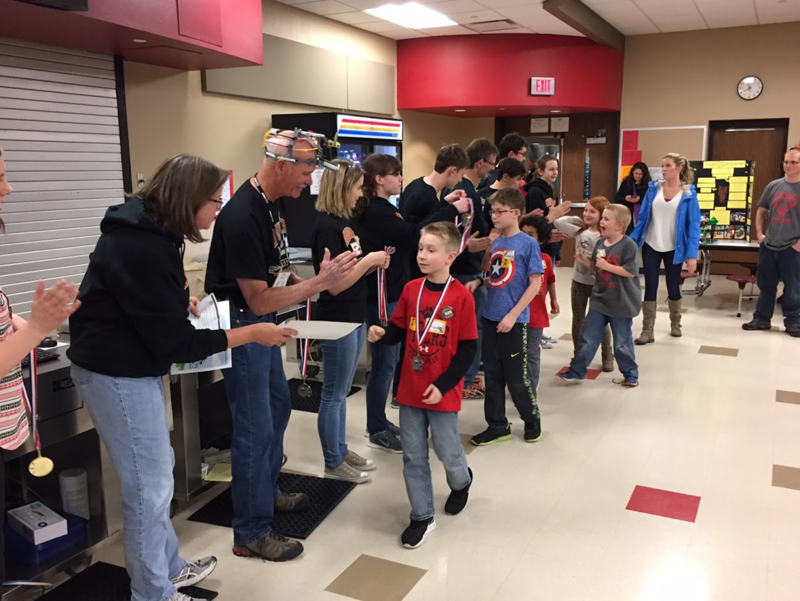 We talked to anyone who was interested in joining our team or any other FIRST programs within Cedar Falls school district. 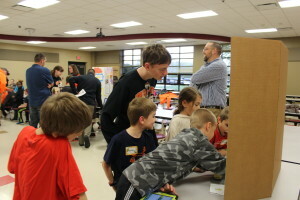 We also ran a FIRST LEGO League Jr. Expo. 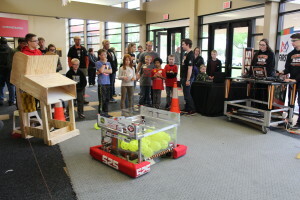 We had four teams who attended. 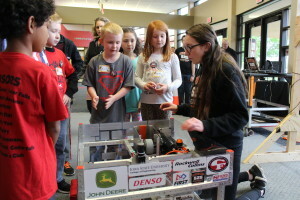 Some of our team members served as student ambassadors for these teams. 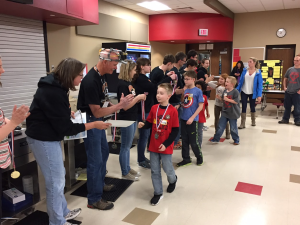 They took the FLL Jr. teams to where they talked to the reviewers, talked to all of the FLL Jr. teams about their Show-Me boards and LEGO models, showed them our FRC robot, and gave them a tour of the fair.